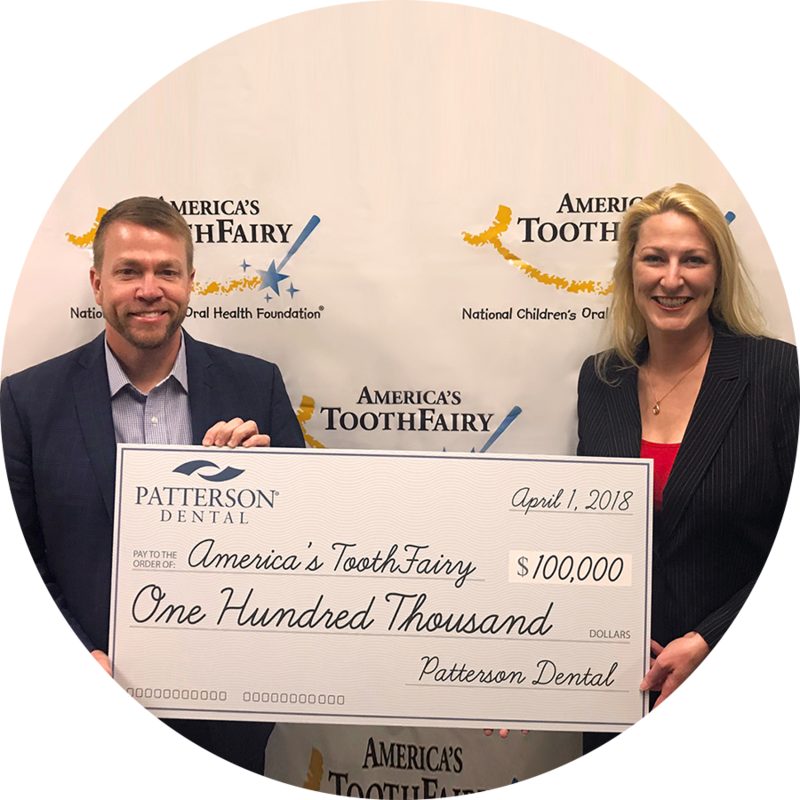 (Charlotte, NC, April 5, 2018) Continuing its long-standing commitment to the mission of America’s ToothFairy: National Children’s Oral Health Foundation has signed Patterson Dental on as the Title Sponsor for the 2018 National Mobile Outreach Initiative. Patterson’s $100,000 contribution will provide resources for mobile programs and components serving more than 50,000 children in need across the country. It will also support America’s ToothFairy operations, programs and resources, which bring dental services to underserved children who live in urban and rural Dental Healthcare Professional Shortage Areas or have limited transportation options. Through the National Mobile Outreach Initiative, America’s ToothFairy clinical partners overcome barriers to care by providing dental services in mobile units, schools and childcare facilities, community centers and other familiar settings. By meeting underserved families where they live, work, learn and play, children who may otherwise have fallen through the cracks will receive critical preventive and restorative oral health care.